It’s a very common problem and perhaps the most heart wrenching of them all. 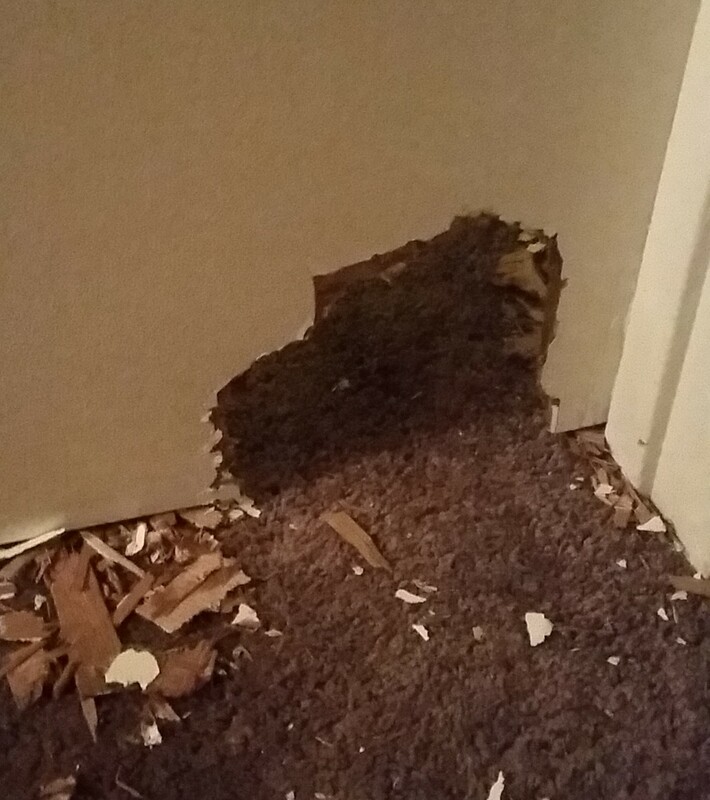 You come home after leaving your dog alone for a few hours and find that he has destroyed some items in your home. Maybe one of your slippers has been ravaged like a chew toy or the TV remote control is in more pieces than the original ever was at the factory or the door that kept Coco in the spare room now has a doggie exit that was never there before (True story). Or maybe a neighbour has complained that they heard your dog barking or even howling for hours while you were nowhere to be seen. It is very human to believe that your furry friend was distressed to find himself abandoned. Some people even believe that their dog is angry that they’ve been left behind and is taking it out on their personal belongings. We would like to suggest a different way of looking at what is happening. Consider the fact that, when a litter of puppies is born, their mother must occasionally leave them to get sustenance for herself so that she can produce the milk that keeps them alive. The pups instinctively stay quiet so as not to draw attention from predators. They know that Mom will come back to feed them. As they get more mobile, they learn not to follow her when she leaves, because she cannot keep them safe and hunt for food at the same time. The puppies trust that Mom knows best and their job is to stay behind and wait quietly for her return. So it is natural for a dog to learn that its caregiver (or owner) must leave on occasion or even frequently in order for the family (pack) to survive. For this to happen, the human in the relationship must have a level of respect from the dog for the dog to have this trust.